Hibernia Racing, headed by John Ryan will with his crew of Phillip Fitzgibbon, Denis Dillon and Jonathan Napier are the first Irish boat to ever enter the race. The Team Engineer’s include Christoff Piotr and Mark Soper from Fiat Powertrain (FPT). The team is also supported by Dingle’s Tom Crean’s lager, the Isle of Wight Distillery’s Mermaid Gin and Henri Lloyd clothing. We are in this to genuinely compete against the best teams and boats in the world. 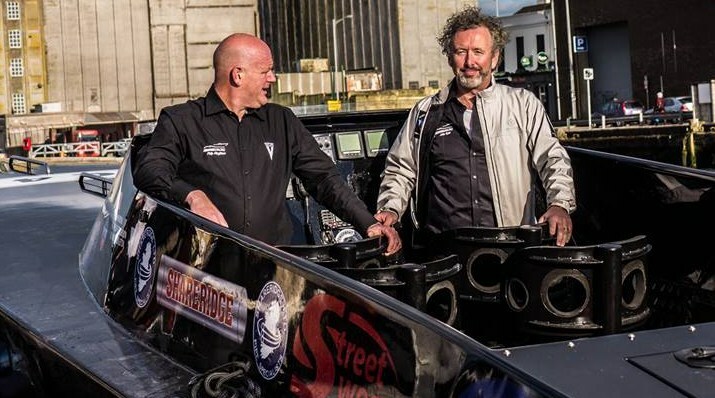 We know that our boat doesn’t have the top speed or power of many of the other competitors; but we have proven our overall reliability and high performance with our recent Round Ireland World record. Hopefully at the end of the race we’ll be up there with the best, remember to win you first have to finish!